Published on October 29, 2018. The National Trust has made a submission to the City of Melbourne in response to their Domain Parklands Master Plan 2018, put out for community consultation in August 2018. The Domain Parklands includes the collective parks and gardens known individually as Alexandra Gardens, Alexandra Park, Queen Victoria Gardens, Kings Domain, Sidney Myer Music Bowl, Melbourne Gardens (Royal Botanic Gardens), Shrine of Remembrance Reserve and Government House Reserve. The Domain Parklands is included in the Victorian Heritage Register as well as on the National Heritage List as the Melbourne’s Domain Parkland and Memorial Precinct. The document has taken a number of years to get to the current stage and has been subject to focused community and stakeholder consultation since 2016. We strongly support the City of Melbourne as they finalise the Master Plan, and consider that it is worthy of council adoption taking into account comments from the community consultation process. It is important to note that while the plan is developed by the City of Melbourne, Domain Parkland covers areas managed by five different land managers. As such the document focuses on City of Melbourne managed landscapes, including partnership projects, and visitor/management initiatives for areas with different land managers. 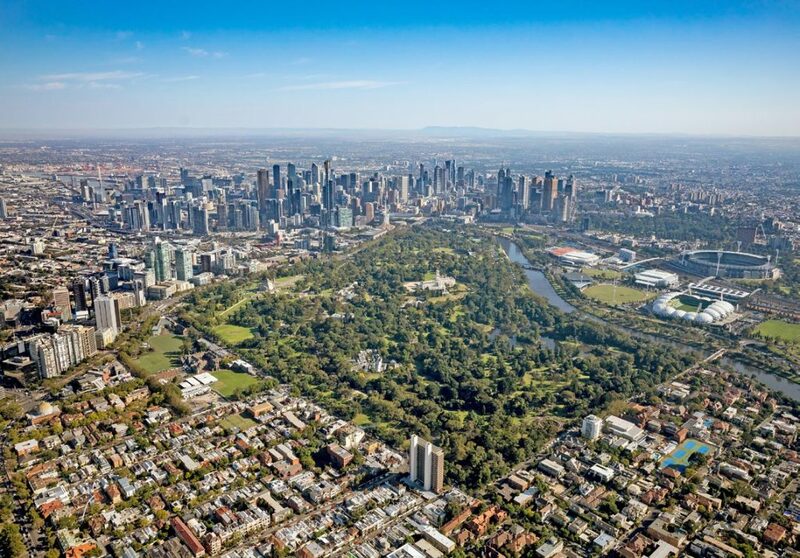 Overall the Master Plan is a comprehensive and wide ranging document that sets out a strong intention by the City of Melbourne in the ongoing management and celebration of the Domain Parklands. Our submission focused on the management of the site’s cultural heritage values, including tree replacement, possible pathway and roadway changes, the cumulative impact of large scale events and our role as a custodian of La Trobe’s Cottage. We supported the fundamental principle in the plan that there be “no net loss of parkland” and that “future change should bring positive benefits to the Domain Parklands” (page 18). You can read our submission in full here.